I believe in Jesus Christ…The third day he rose again from the dead. You are here: Home / Worship / Apostles' Creed / I believe in Jesus Christ…The third day he rose again from the dead. Cornelius the centurion knew Jesus. The Lord’s fame had spread far and wide and touched everyone—including the Roman legion stationed at Caesarea. But this centurion knew more. He knew that the Old Testament taught: “the good news of peace through Jesus Christ who is Lord of all” (Acts 10:36). Cornelius knew that Jesus had preached in Judea and Galilee. He knew Jesus had power over both disease and the devil. He knew that God was with Jesus! He knew the sad story of Jesus’ death as he hung on a cross—mocked by Romans, despised by Jews, cursed by God. Now God had arranged a meeting between Cornelius and the apostle Peter. Peter told him, “I want you to know the rest of the story. I want you to know what we saw. We saw Jesus alive. I am an eye-witness of his resurrection from the dead. Peter had received his own revelation, which he shared with Cornelius. He called Jesus “the Lord of all,” and testified to this centurion, “I now realize how true it is that God does not show favoritism but accepts men from every nation who fear him and do what is right’” (Acts 10:34-35). We believe that Jesus died for all, and we believe that Jesus rose for all. The truth of Jesus’ resurrection anchors our faith that Jesus is Lord of people from every nation, tribe and language, and it inspires our outreach to the whole world. https://whataboutjesus.com/wp-content/uploads/2016/07/700x411-ApostlesCreed.jpg 400 711 waj https://whataboutjesus.com/wp-content/uploads/2016/01/WAJ-logo-offwhite.png waj2016-07-10 06:00:522019-01-17 10:21:52I believe in Jesus Christ…The third day he rose again from the dead. When Does the Soul Go to Heaven? When is the resurrection going to happen? What Happens to the Soul before Judgment Day? Why is Jesus' resurrection from the dead significant for me? Will I Rise from the Dead? How can I be sure there is life after death? 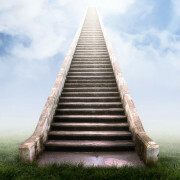 I believe in Jesus Christ…He ascended into heaven, and is seated at the right... I believe in Jesus Christ…He descended into hell.